This new Lighting Fixtures, Babol lighting series was designed by deMajo. 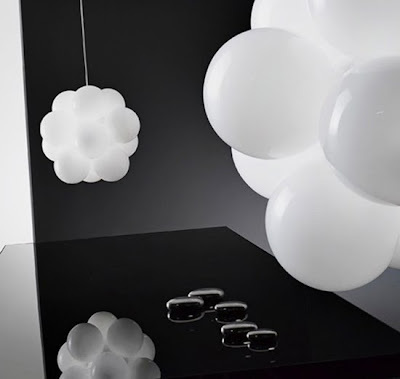 The Babol lighting series features dreamy clusters of glowing “bubbles” in a line of pendant, wall-mounted and tabletop lamp designs. These coordinating lighting fixtures come in a variety of sizes to suit any space and function, all made of glossy white glass.